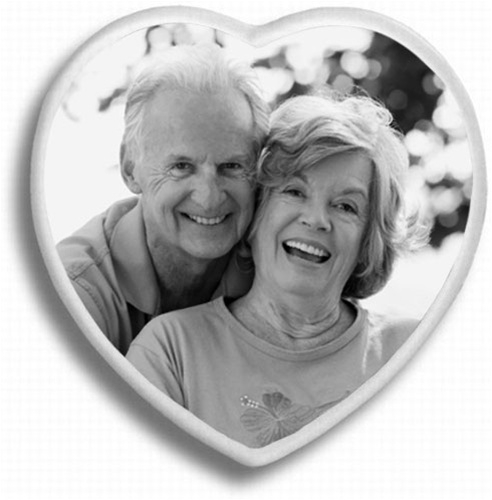 These ceramic black & white heart pictures are perfect for placing on an existing headstone, grave marker or mausoleum crypt front. The heart shape is symbolic of love and popular for couples. Available in two sizes and with an adhesive backing they are meant to be installed by anyone.